Most people, including many familiar with fire ecology and future climate, assume that the area burned by wildfire will increase in a warmer climate. This depends a lot on what kind of ecosystem we mean. In all ecosystems, fuels must be available to fire for fires to get very big, but the climate controls on those fuels vary widely with vegetation. In wetter forests, it takes an abnormally warm, dry year to make normally wet fuels available. But in many drier ecosystems, fuels are dry enough to burn most years—whether fires get big depends also on whether there is sufficient fuel available to carry fires over large areas. In this kind of vegetation, abnormally wet years in the year prior to fire can create larger or more connected fuels that then lead to larger fires. In this study, we use this concept to investigate how future area burned might be affected by climate change. We found that some ecosystems will burn much more, just as expected. But some will actually burn less. 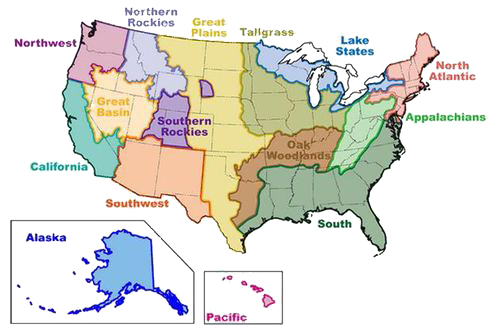 We characterized these futures for 70 different ecosystems around the West. The similarities and differences illustrate the range of futures that might be expected under climate change.